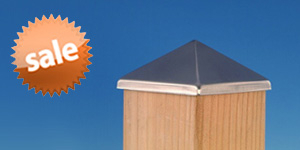 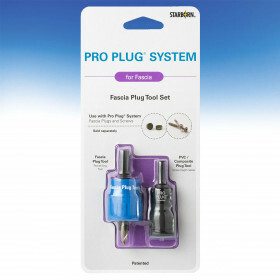 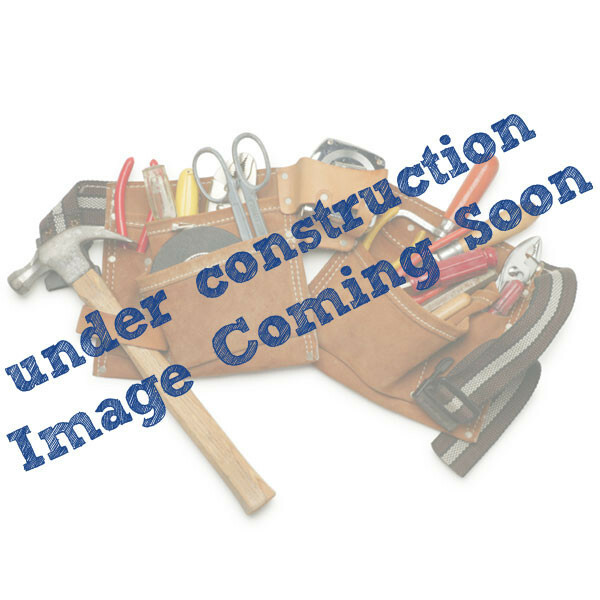 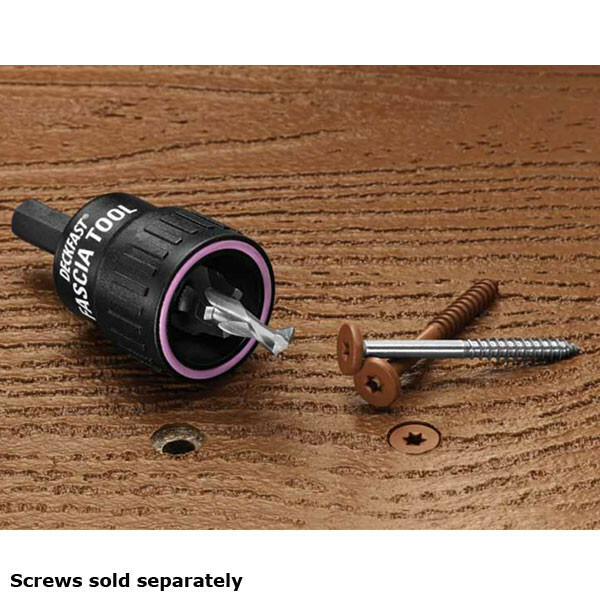 Starborn's newest tool features patented SMART-BIT technology for outstanding deck fascia installation. 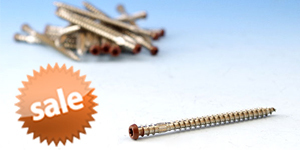 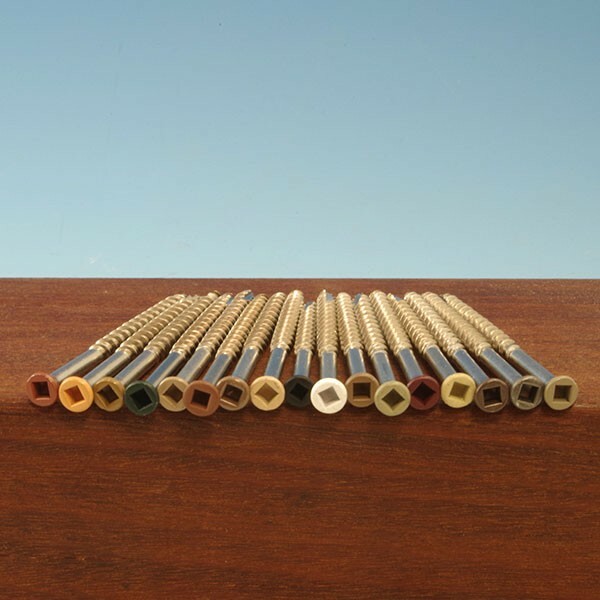 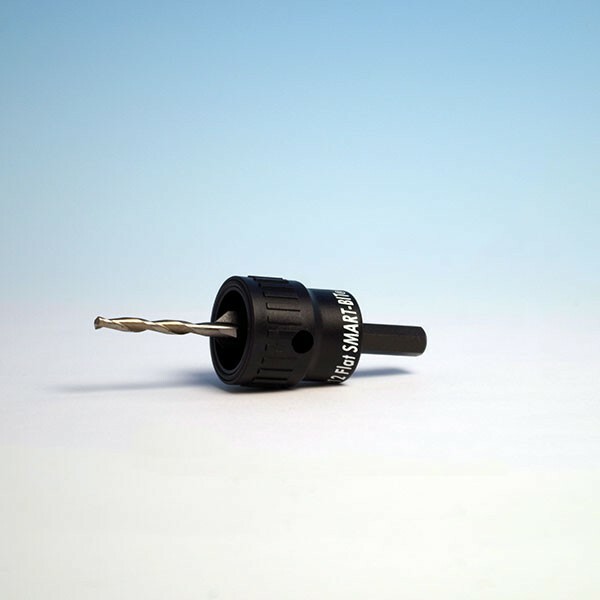 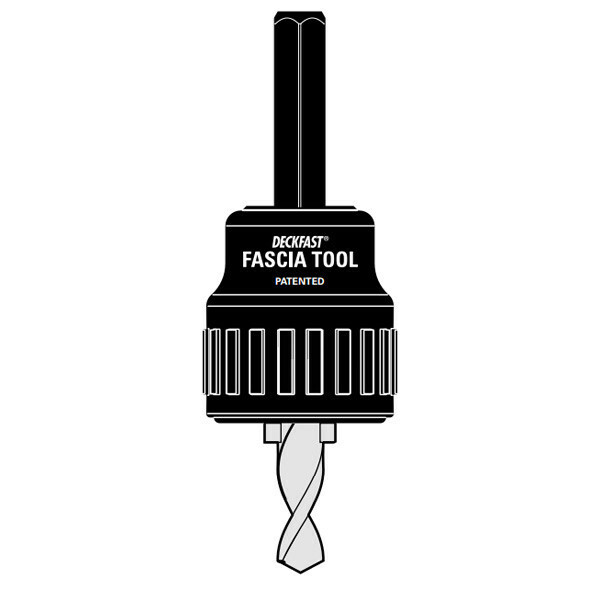 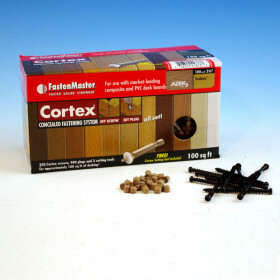 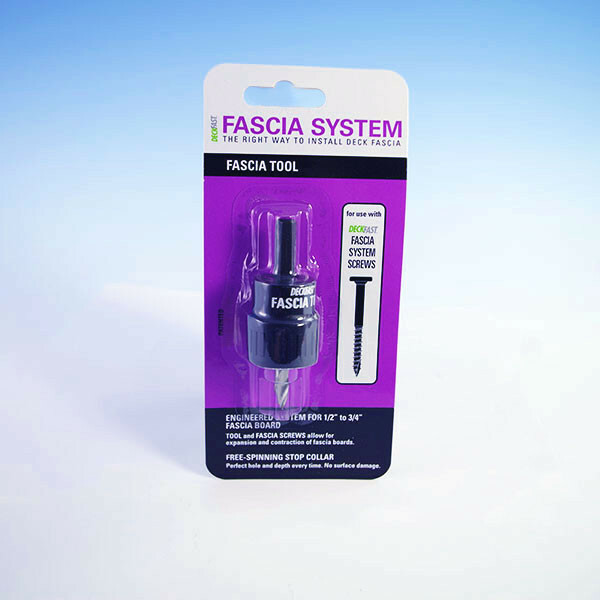 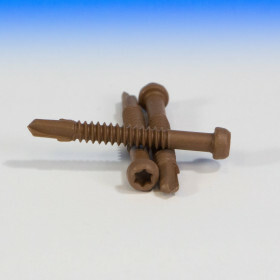 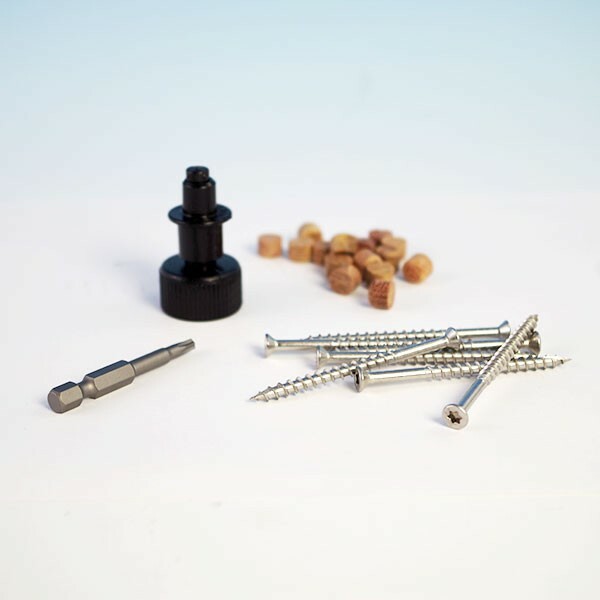 The DECKFAST Fascia System utilizes this specially-engineered tool plus enhanced color-match screws (sold separately) for installing fascia boards such as Trex and Duralife. 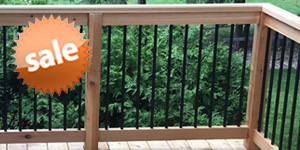 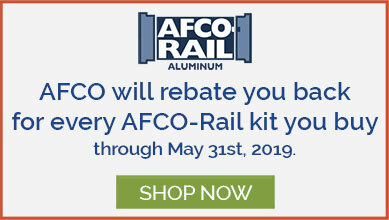 The system's design allows the natural expansion and contraction of composite or PVC fascia boards to occur without damaging the connection to the framing or harming the look of the deck. 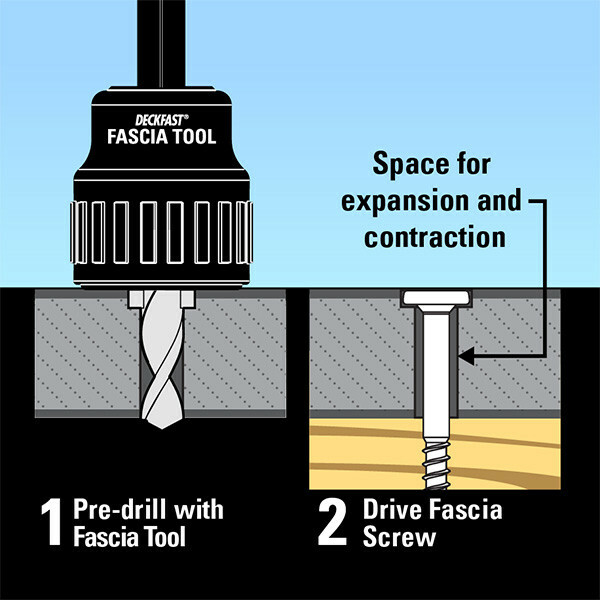 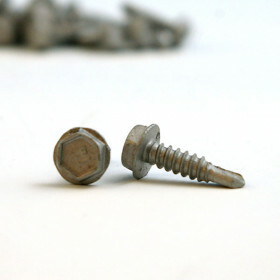 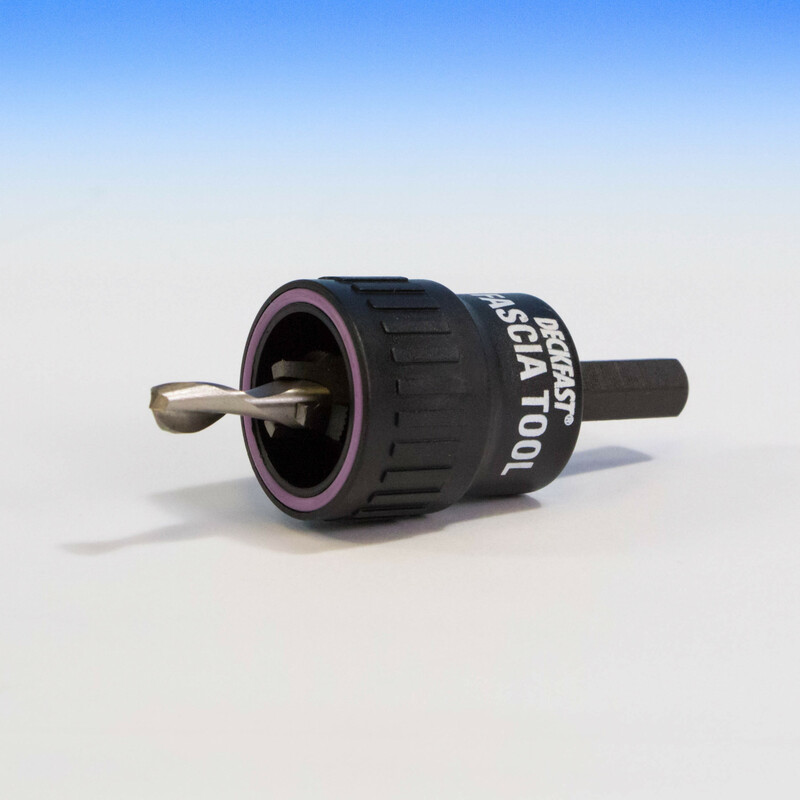 With proper installation, the fascia board rests on the fastener and is able to expand and contract because of the slightly-oversized hole created by this tool.